A woman who threw chocolate milk on a Republican volunteer at Florida State’s Landis Green has been arrested and charged with battery. The woman has been identified as 19-year-old Shelby Shoup. A video posted on Facebook and Twitter shows Shoup yelling at the volunteers claiming they’re supporting Nazis before throwing the chocolate-flavored milk on them on Tuesday. 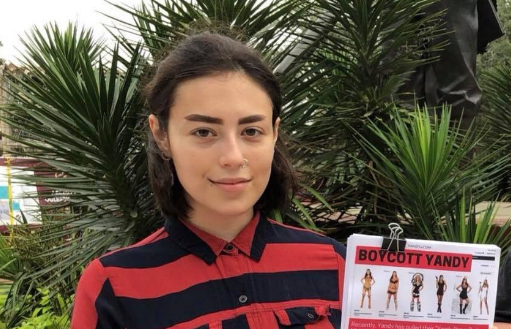 The volunteer Shoup threw the milk on has been identified as FSU College of Republicans Vice-Membership Chair Daisy Judge. Shoup states in her LinkedIn profile that she’s an intern for Andrew Gillum’s gubernatorial campaign, who tried to distance themselves from the trouble-making Shoup and declined to comment on whether she’s an official volunteer or intern at Gillum’s campaign. Shoup also served as speaker at a June Families Belong Together rally at Wakulla County Sheriff’s Office’s ICE detention facility in Crawfordville. She took part in the protests against President Donald Trump’s call for criminal prosecution of immigrants crossing the border illegally. Many welcomed the development that Shoup will be charged with battery.